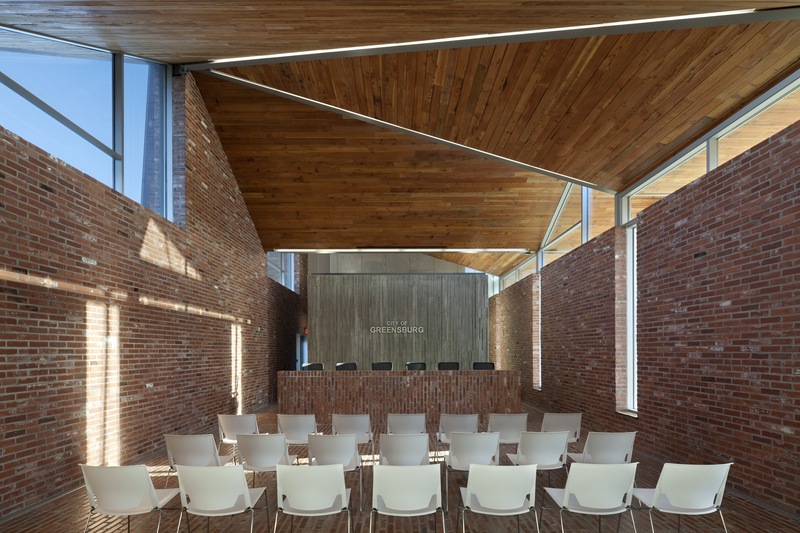 A Kansas town has rebuilt to high-performance LEED standards a decade after being struck by a tornado. 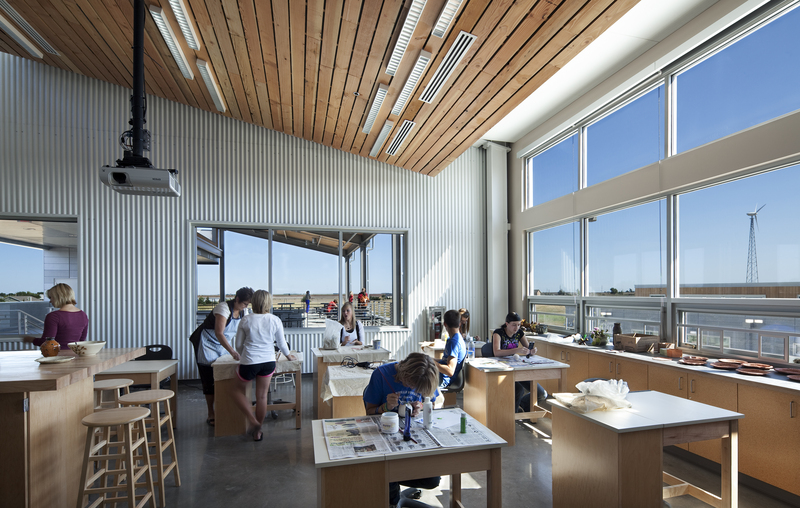 Ten years after a two-mile-wide tornado devastated the town of Greensburg, Kansas, the rebuilt community is a model for what green building can do. More than just an environmentally sound choice, building green can also mean building for self-sufficiency and resiliency, qualities always embodied by residents of the plains states. On May 4, 2007, an EF-5 tornado flattened over 1,300 homes in Greensburg and caused nine deaths. As the town sought to recover from the destruction, Mayor Bob Dixson focused on sustainable construction and renewable energy as a way to build the community even stronger than before. Dixson's plan for Greensburg included constructing all future city-owned buildings over 4,000 square feet to LEED Platinum standards; when it passed, it was the first resolution of its kind in the United States. Now, in 2017, the LEED-certified structures in Greensburg include such diverse projects as the city hall, arts center, John Deere dealership, county hospital and K–12 school. In addition to green buildings, Greensburg now boasts a walkable downtown, a net metering policy and investment in wind turbines. The town's Sustainable Comprehensive Master Plan addresses residential density, park space, renewable energy and dozens of other aspects of sustainable city design. In 2013, Dixson was honored with USGBC’s Mayor Richard M. Daley Legacy Award for Global Leadership in Creating Sustainable Cities. At a resiliency workshop USGBC attended in 2012, Dixson commented, "We’re building back in a way that will ensure that this can never happen again." Greensburg City Hall. Photo copyright Assassi, courtesy BNIM. An early partner in Dixson's efforts to rebuild was architectural firm BNIM of Kansas City, Missouri. Having to recreate the town's design from scratch provided an unexpected opportunity for more inclusivity and community direction in transforming what Greensburg would look like. Two years earlier, Berkebile had helped USGBC navigate its response to Katrina by participating in the charrette that ultimately led to The New Orleans Principles, a guidance document for addressing post-disaster reconstruction. Greensburg school. Photo copyright Assassi, courtesy BNIM. Greensburg has gotten creative in planning for storm resistance. Projects like the Silo house and homes and apartments using insulated concrete forms and straw bales in the walls may have a greater chance of withstanding future tornadoes, in addition to incorporating green features. Visiting the town's official website today, you can find its "5 Year Building Performance Report," with details on the energy savings of its LEED buildings as compared to typical buildings, including 72 percent savings for the school and 59 percent for the hospital. 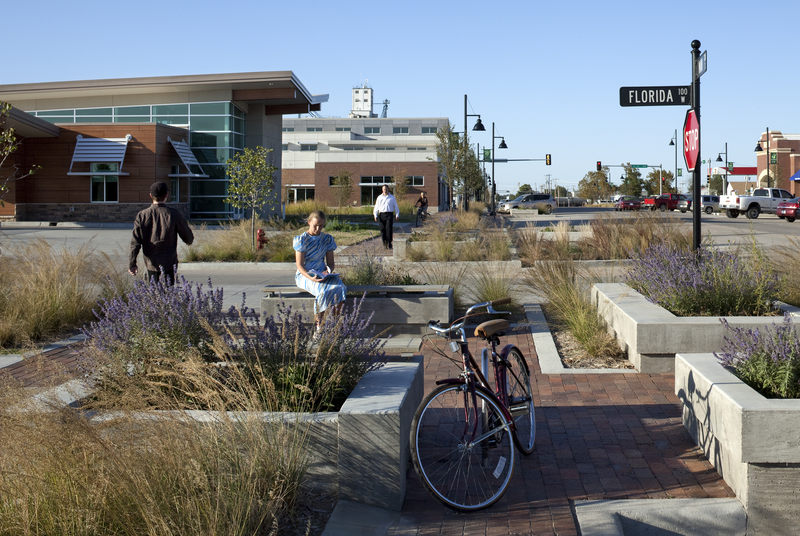 According to this report, the LEED Platinum initiative "served as a major driving force in the effort to rebuild Greensburg as a model of sustainability." Greensburg downtown. Photo copyright Assassi, courtesy BNIM. LEED works for rural communities as effectively as it does for large cities, and Greensburg is the perfect example. For more on the town's transformation, watch the Climate Reality Project's video on "The Greening of Greensburg."